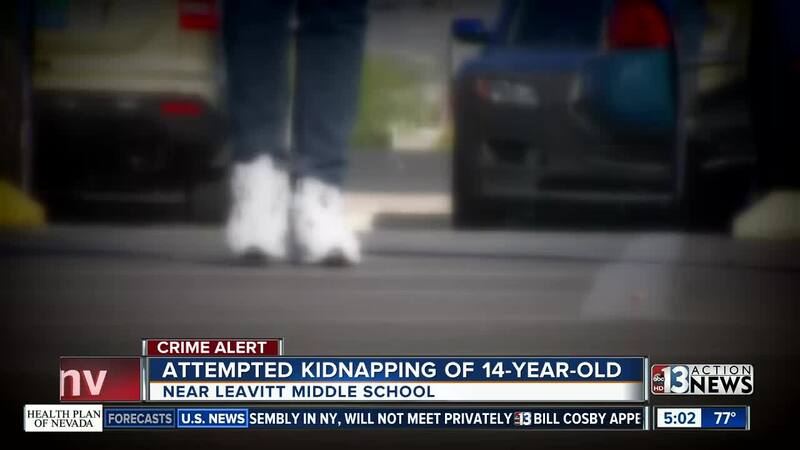 Las Vegas police are investigating an attempted kidnapping of a 13-year-old girl near a middle school Monday morning. According to police, the incident happened around 8:50 a.m. involving a girl at Leavitt Middle School. Police said the suspect, identified as Jorge Gomez-Peretz, pushed the girl into his vehicle near Tenaya Way and Larkvale Way, several blocks from the school. The girl fought back and was able to get away, according to police. Both Las Vegas police and Clark County School District police responded. The suspect was taken into custody in the 4000 block of Browndeer Circle, not far from the initial incident. Waiting for the end of the school day outside Leavitt Middle Tuesday afternoon, cars were lining up almost an hour before dismissal. 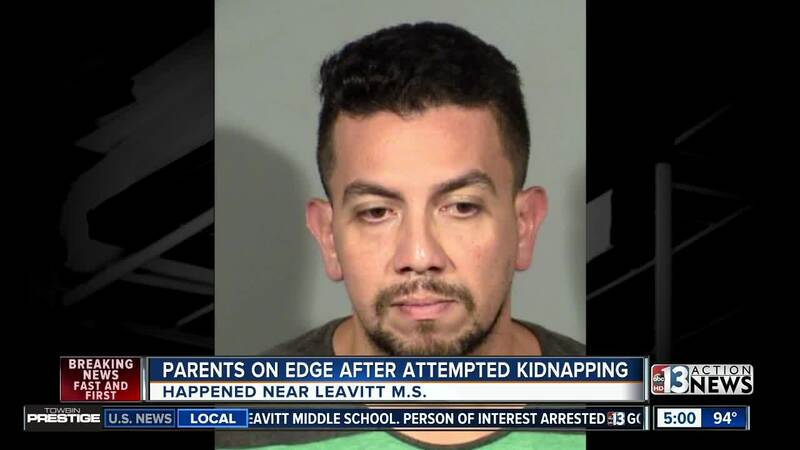 “I am so happy he got caught, I really am,” said one parent. Many tell 13 Action News that they want to make sure their family is safe. “I try to be here by two, so that way if I see something sketchy I know to either call it in or watch out,” said Cheyenne, picking up her younger brother. 13 Action News looked into Gomez-Peretz, but could not find any previous arrests under Las Vegas police’s jurisdiction. Gomez-Peretz is facing one charge of kidnapping a minor.